In order to support her ten children, Evelyn Ryan enters a commercial jingle-writing contest. Which US state produces the best movie directors? The true story of how a mother raised ten kids on twenty-five words or less. Evelyn Ryan: Don't be silly. Spices don't have legs. There are no bugs in the soup. I went into a screening of this film cold. I didn't know anything about it except that it starred Julianne Moore. I walked by a poster of the film on the way into the theater and was horrified, thinking it was going to be a chick flick. Well, folks. When I go into a theater and I can't take my eyes off the screen and the movie goes by without me ever even checking my watch, I know I've seen a good movie. Moore plays a woman with 10 children. 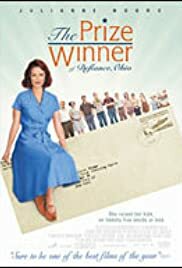 Although her husband works as a machinist, she basically provides for the family by winning all sorts of contests for all kinds of big prizes, including big cash prizes. The woman is a master of winning these things. It's the one thing that's keeping her family together. She's definitely the hero and the one person everyone looks up to. Definitely an inspiration. I don't want to spoil anything, so I'll stop at that, but I will say that Moore does a great job with her role. 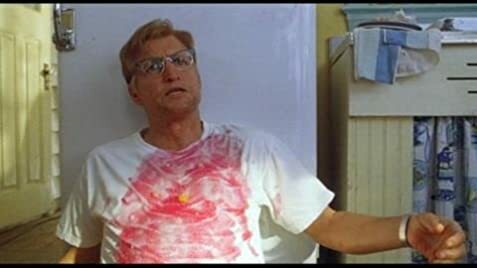 Moore's husband in the movie, played by Woody Harrelson with emotional conviction and healthy dose of humanity, has a drinking problem and is a big source of tension inside the household. To the movie's credit, it doesn't paint the father as the typical one-note, evil, hateful,abusive, drunken father. There's a real character in there who loves his wife and kids and the movie does its best to portray him as fairly as possible despite his drinking problem and fits of rage. The movie does bring out strong emotions from its audience, not quite a tear-jerker but close. It's not the sort of movie I would watch again and again because it's not my type of film, but I was glad for having seen it. There's good acting, good pacing, a good story and possibly most important of all, it is told in an entertaining, gripping fashion. I wouldn't be surprised to find out if there is an Academy Award nomination in store for Julianne Moore and Woody Harrelson. At the end of the movie, there was a nice round of applause from the audience. I told one lady, "Wow, the two hours just went..." and I snapped my fingers. She said, "It just zipped by." I also heard several different people talking as I left the theater, "Did you like it?" "Yeah, it was great." 97 of 105 people found this review helpful. Was this review helpful to you?